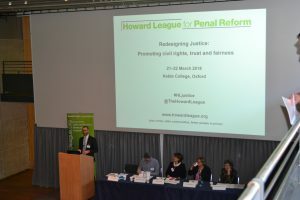 The conference brought together academics, policy makers and practitioners from a variety of disciplines to shine a light on seemingly intransigent aspects of justice systems, including why prison is still so central to justice responses to crime. 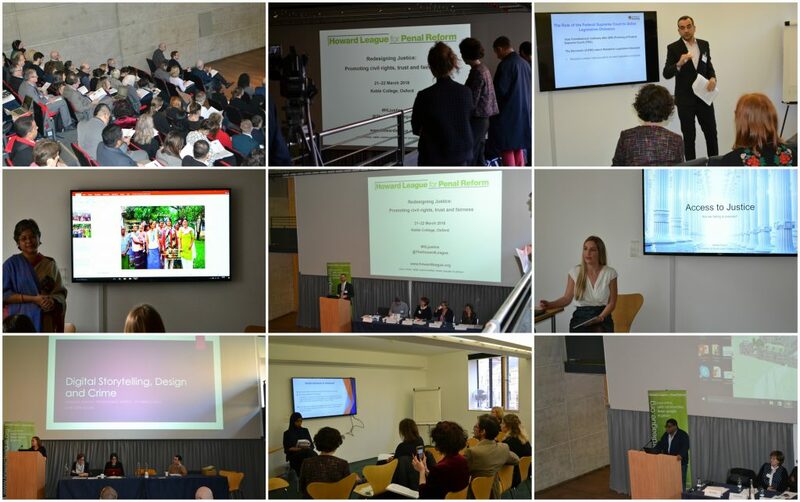 Over the two days of the conference papers were presented by experts from the UK, USA, Canada, New Zealand, South Africa, India, China, Japan, Israel, Chile and many European countries including: Poland, Slovenia, Spain, Ireland, Italy, Belgium. Over 150 papers were submitted for panel sessions. One of the papers was presented by Dr Myles Frederick McLellan from Algoma University, Canada who has kindly agreed to share a video recording of his presentation, Innocence compensation: A comparative analysis of the common law and civil law traditions. The conference sought to promote the work of early career academics through awarding a prize for the best PhD paper. Best PhD papers were awarded to: Katharine Evans, Liverpool John Moores University and Brie McLemore, University of California Berkeley. For more information, programme and abstracts download the conference booklet. For information on previous conferences, including videos and podcasts, see the links below. We have published three special conference ECAN (Early Career Academics Network) bulletins. Restorative and retributive justice: Could they be parallel streams? We will be back in Keble College Oxford from 31 March to 1 April 2020. To find out more about Crime, justice and social harms conference to be held there and for the call for papers visit the conference page.